Dove Intensive Repair Save My Hair! A while ago I shared with you guys the launch of Dove's Nutritive Solution hair range (read more here)with improved technology that instantly helps to restore my hair condition. How do I maintain my healthy looking hair is the question that comes later. From styling to change in weather, my hair goes through a lot every day - but with the right products I manage to have nourished hair, inside out. I have been using Dove's Daily Treatment Conditioner range ever since I came back from my beach holiday. Its treatment-conditioner duo action formula Keratin Repair Actives (advanced, patented technology) is able to penetrate into our hair cellular level to help replenish protein and strengthen the hair structure. Because Dove's Daily Treatment Conditioner range gives more restorative power than a regular conditioner, it is able to target the dryness and damage found deep inside the hair. 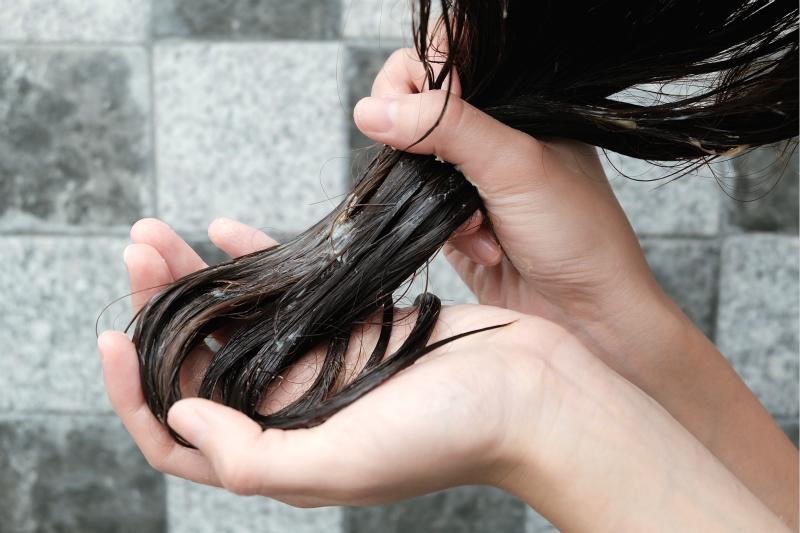 Overall it will help to prevent and protect hair from future damage. #2 Apply the treatment conditioner through the hair, concentrating on the mid-length and tips and leave it for 1-3 minutes. Try to avoid scalp area while applying. 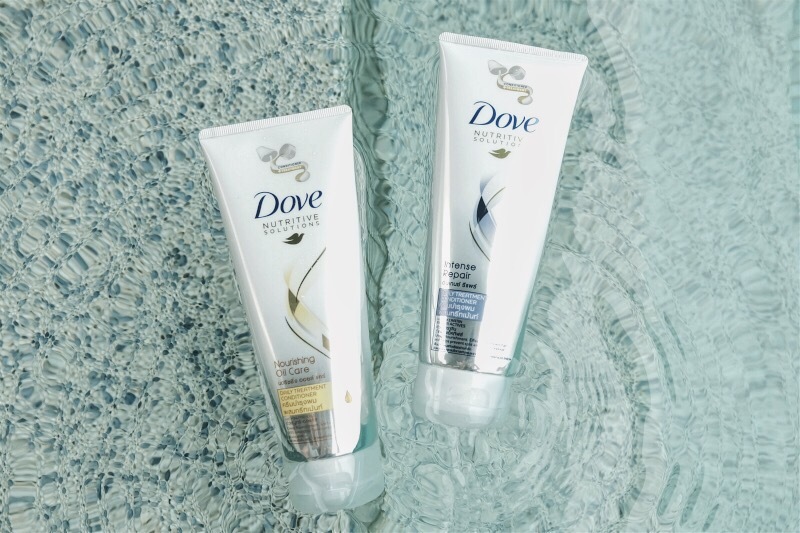 The new Dove's Daily Treatment Conditioner range comes in two variants, Intense Repair and Nourishing Oil Care. I personally prefer Nourishing Oil Care because it reduces roughness and control dry frizzy hair. For better results, I would suggest to use it with Dove Nourshing Oil Care Shampoo or Dove Intense Repair Shampoo. If your hair needs a pick-me-up, try out the new Dove Intense Repair Treatment Conditioner. It is a daily treatment conditioner with the nourishing power of a treatment which leaves your hair looking richly nourished and beautiful in just one minute. For more information, you may check out www.facebook.com/dove for more. yeah i do use dove. thumbs up!